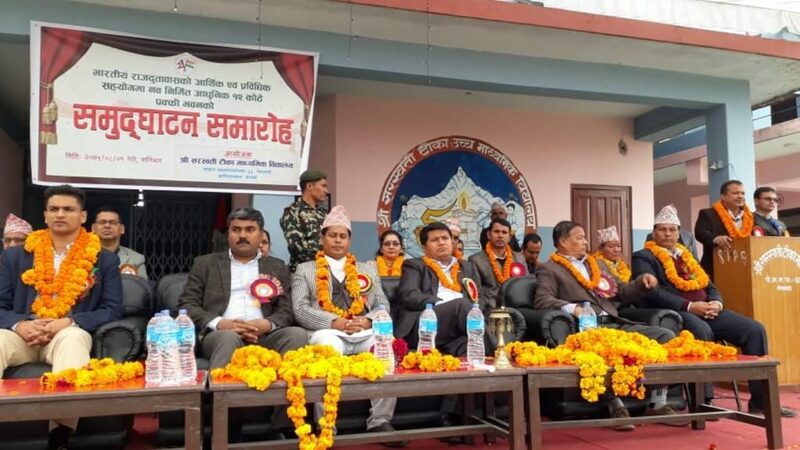 On November 17, 2018, Hon’ble Minister of Culture, Tourism and Civil Aviation, Government of Nepal Mr. Rabindra Adhikari inaugurated Shree Saraswati Tika Higher Secondary School, Lekhnath. The inauguration ceremony was attended by Dr. Ajay Kumar, Deputy Chief of Mission, Embassy of India, Kathmandu. 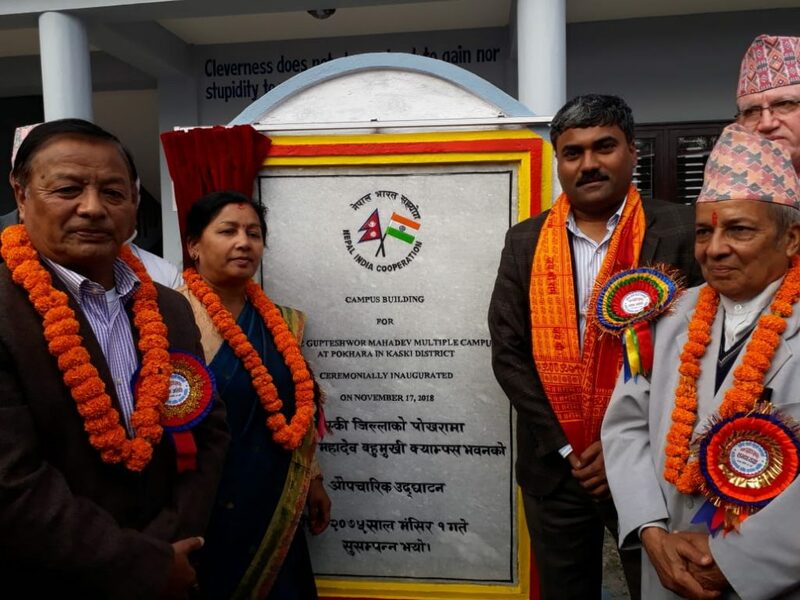 DCM Dr. Ajay Kumar inaugurated Shree Laxmi Adarsha Multiple Campus, Lekhnath and Shree Gupteshwor Mahadev Multiple Campus, Pokhara. Shree Saraswati Tika Higher Secondary School had been built with Bharat’s assistance of NRs. 37.10 million. The School is affiliated with National Examination Board (NEB) and offers plus two (10+2) programs, is a prestigious school in Kaski district and has been providing quality education to students from Pokhara Metropolitan City. The school has about 1100 students of which about 45% are girls. Shree Laxmi Adarsha Multiple Campus had been built with Bharat’s assistance of NRs. 48.40 million. The Campus is affiliated to Tribhuvan University (TU). It offers four years’ full-time undergraduate degree in Bachelor of Education (B.Ed) program and plus two (10+2) programs in Management, Education & Humanities programmes. The Campus has over 450 students of which about 85% are girls. The Gupteshwar Mahadev Multiple Campus had been built with Bharat’s assistance of NRs. 41.10 million. This is a non-profit academic institution, affiliated with Tribhuvan University, offering B.Ed, BBS and MBS program. From 2018 academic session, Gupteshwor Mahadev Multiple Campus started offering BHM and BIM programs with affiliation from Tribhuvan University. The Campus has about 418 students and 80% of which are girls. The newly built infrastructure (Conference Hall, Computer Lab, Library, etc.) will not only boost learning environment for students but also enhance access to education to students of Kaski, Syangia, Parbat, Myagdi, Tanahun districts of Nepal.